We got a loaned Canon C300 + a 50mm T 1.3 L to use in the office. Don’t really have time to take the beast out to shoot, but from what I’ve seen and played with, it’s quite cool. The lens is a dream to use, though a little heavy. 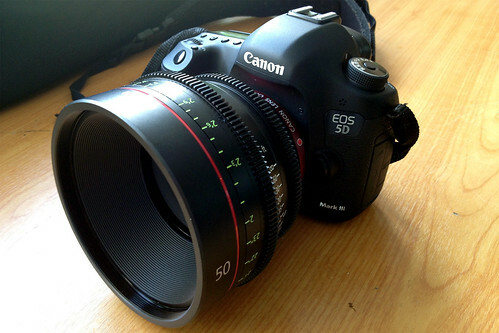 My 5D3 with the 50mm. You are currently reading Oh, My. at Eman Azrin Azhar.